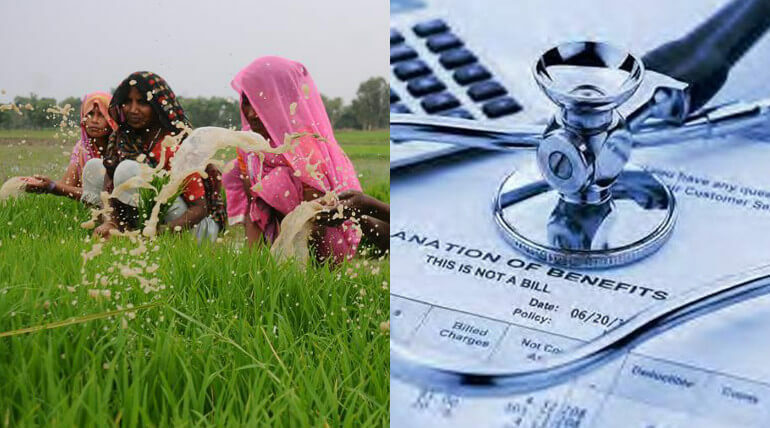 Finance Minister Arun Jaitley had announced the union budget for 2018-2019 that drove prime attention for farmers and health care. The experts say this budget had targeted the poor people and farmers' votes for the upcoming 2019 election. The government had introduced the free medical insurance under National Health Protection Scheme for about 10 crore poor families that will be having 50 crore beneficiaries. In this scheme Rs 5 lakh will be allocated per family in a year. Jailey said "This is the largest government funded health care program that brings several health and wellness centres closer to home. Several people in India die due to improper health care and lack of fund for the treatment. To establish 1.5 lakh free health care centers government had allocated Rs 1200 cr." According to this budget "The retired person who spends up to Rs 50000 has no tax. There are also attractive schemes for health insurance for senior citizens. The opposite party raises several questions on this budget. They are asking is this good for allocating health care for mere 10 crore people where there is 120 crore population. Prime Minister Narendra Modi said "This Budget is farmer friendly, common citizen friendly, business environment friendly and development friendly. It will add to 'Ease of Living'." When coming to Farmers budget, PM Modi had already announced his government will double the income of farmers in 2022. There is 100 percent tax rebate for farmer producer companies having a turnover of Rs. 100 cr and Kisan credit card will help secure easy loans for farmers. Special schemes were introduced for the organic farming that would not benefit pesticides and fertilizers companies. Tenant farmers to get benefits of subsidies like the normal farmers. Jaitley announced Minimum Support Price (MSP) for Kharif crops would be 1.5 times the input cost. MSP has announced to all notified crops in the country. The ministry also allocated 10,000 crore for Fishery and Aquaculture Development and Animal Husbandry Infrastructure.